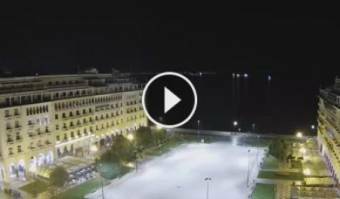 It's 00:23 in Thessaloniki, Greece right now. Aristotelous Square Panoramic view of the Aristotelous Square, from the imposing Electra Palace Hotel. Thessaloniki: City Panorama, 0 miles away.